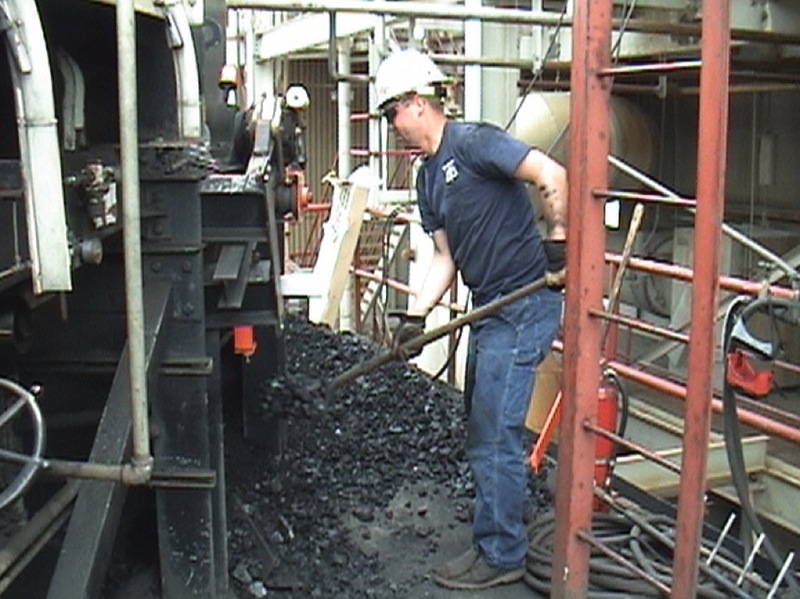 Neponset (IL), United States – Since most Conveyor Injuries occur during Routine Maintenance or Cleaning, the Control of fugitive Materials is one of the most important Factors to reduce Hazards and prevent Injuries. 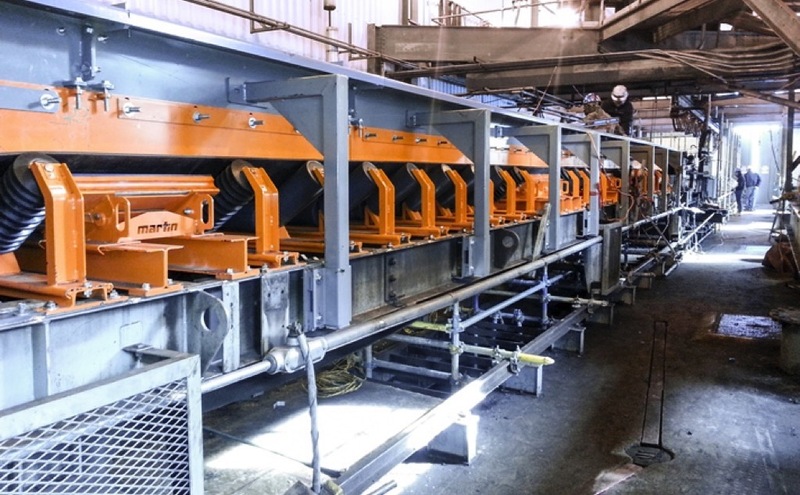 In this article Martin Engineering explains how, in a properly-engineered transfer point, each component is employed to maximize its specific function and contain dust and fines, while at the same time offering workers easy access for maintenance. Containment is the key to avoiding spillage and dust, and there are a number of components designed for this purpose. Although shaped transfer chutes and rock boxes direct the material flow to mitigate the concussion of material on the belt, most high-volume operations need one or more impact cradles to absorb the force of the cargo stream. Heavy duty impact cradles can be equipped with rubber or urethane impact bars with a top layer of slick UHMW plastic to minimize belt friction. Able to withstand impact forces as high as 17,000 lbf (53.4 to 75.6 kN) and drop heights of up to 50 feet (15.2 m), support beams in the center of the cradle are set slightly below the receiving belt’s line of travel. In this way, the belt avoids sustained friction when running empty and yet can absorb hard impacts during loading, while still retaining a tight belt seal. 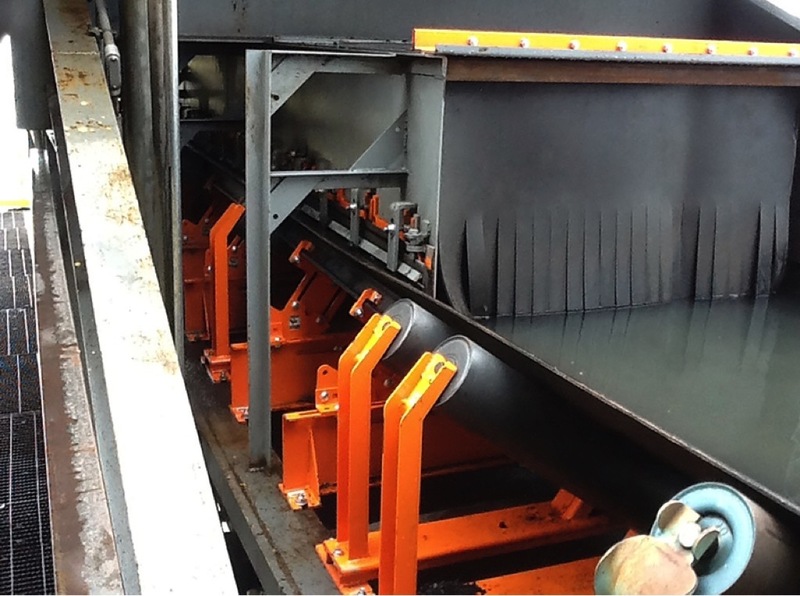 Within the settling zone – located after the impact cradle in the conveyor chute box – slider cradles can then create a troughed belt to center the cargo and reduce disruption quickly, aiding in dust settlement. Slider cradles, located down the length of the skirted area, have several functions. One is to create a trough angle that adequately centers the load. The trough angle also plays an important part in retaining a tight seal between the belt and the skirt. Lastly, utilizing track mount idlers in between each cradle, a smooth belt path is created through the settling area, one that can be easily maintained. A smooth belt path should have no gaps, minimizing disruption and promoting containment, allowing dust and fines to settle into the cargo stream prior to leaving the containment area. The external design requires minimal tools and no confined space entry to inspect, adjust or replace wear liners or skirts, and in most cases can be performed by a single worker. The low profile of the skirting assembly needs only a few inches of clearance, allowing installation and maintenance in space-restricted areas. 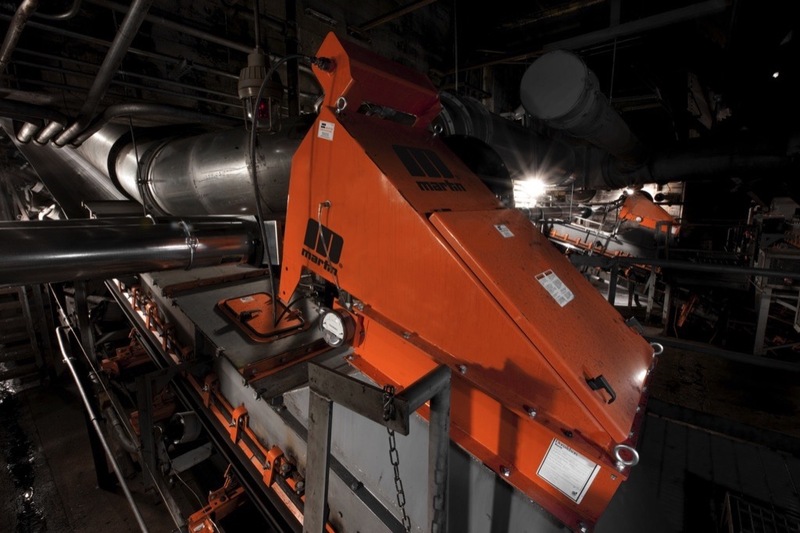 The design of these components drastically reduces scheduled downtime and the potential workplace hazards associated with replacement and adjustment.